A former adviser to President Barack Obama, Rick Wade, has joined the U.S. Chamber of Commerce in Washington, D.C as vice president of strategic alliances and outreach. His new duties will include developing and implementing programs and initiatives to help the nation’s largest business advocacy group create new business relationships and partnerships across diverse audiences in America. Additionally, Wade will provide counsel on policy issues and lead special projects at the chamber. “Rick’s wealth of knowledge enables him to give a megaphone to the voice of business across the country and to share the positive impacts of the free enterprise system. We’re excited to welcome him to our talented team,” stated Suzanne Clark, a senior executive vice president at the chamber. 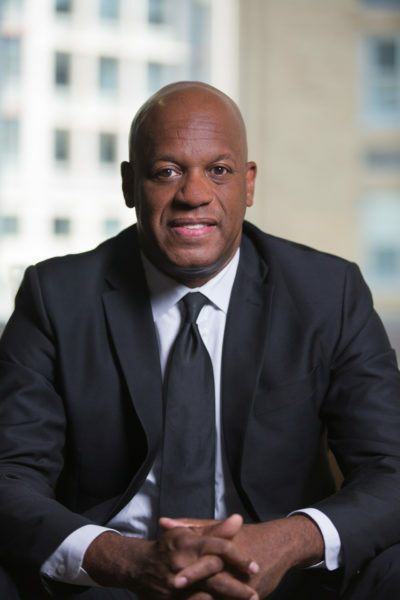 Before joining the chamber, Wade was the founder and principal of The Wade Group, a global business consulting firm with offices in Columbia, South Carolina, and Washington, D.C. He also was a senior adviser and deputy chief of staff for former Secretary of Commerce Gary Locke. In that role, Wade helped to expand opportunities for U.S. companies to sell their products in markets worldwide. Wade was a liaison to businesses, trade associations, and civic organizations as well as state and local governments. A former senior adviser to the 2008 Obama for America campaign, he is a current member of the Democratic National Committee. Wade is a former executive at Hoffman-La Roche and Blue Cross Blue Shield of South Carolina. He also has professional experience at the South Carolina House of Representatives, Cabinet of the Governor, and the Government and Community Relations Office at the University of South Carolina. Wade received his Bachelor of Science from the University of South Carolina and a Master of Public Administration from Harvard University. He has been awarded Honorary Doctorates from Benedict College and South Carolina State University. The chamber claims it’s the world’s largest business federation, representing the interests of more than 3 million businesses of all sizes, sectors, and regions.